Over this cold and damp winter my little girl has decided that she would much prefer to wear my plain and boring black gloves rather than her pretty pink mittens. 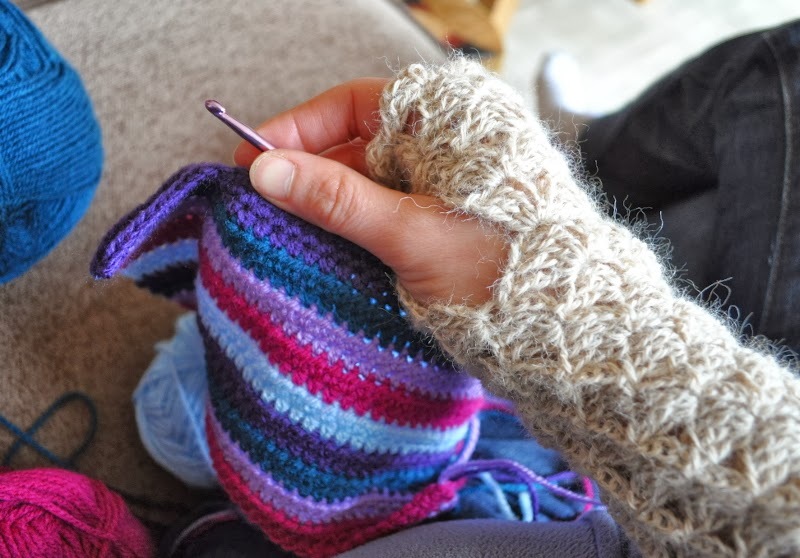 Seeing as I can't fit into her mittens my hands have been getting quite cold out so I thought I would have a try at making some fingerless gloves for myself. I pulled out of my stash a couple of balls of Artesano Alpaca yarn that I've had for years and didn't know what to do with. Then after a quick search on Ravelry found a beautiful pattern for 'Dragon Skin Gauntlets' by Aoibhe Ni (the link to the Ravelry pattern is here). I love how they turned out, pretty, delicate and so toasty warm... however I didn't want to wreck them by wearing them outside so decided to re-raid my stash and make up a second pair. 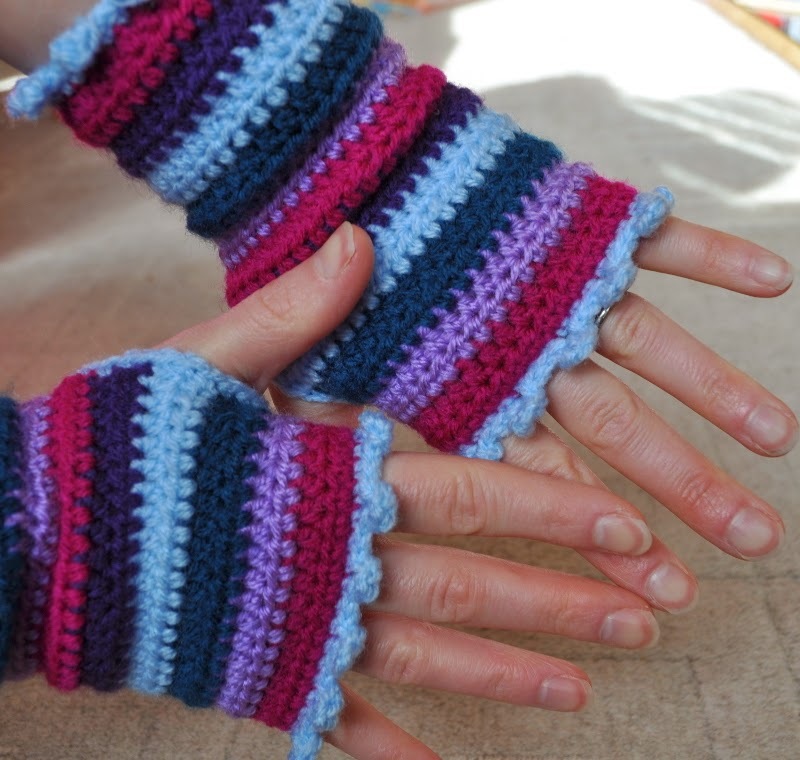 This time I used up some pretty colours of plain old acrylic yarn and worked up these wrist warmers (based on the instructions on Lucy's Attic24 blog). Ah - lovely and snug now... only problem is that my little girl seems to be taking a liking to these gloves now!